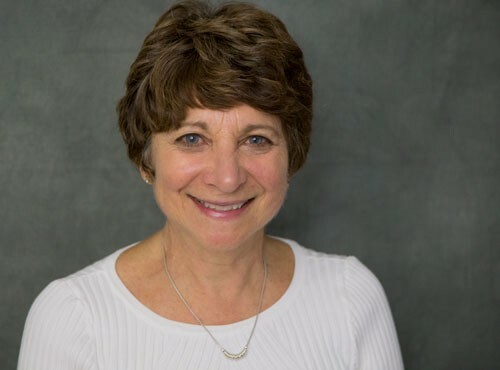 Pixie-like and always smiling, Jo-Ann Pomerantz has an inner glow that never fails to light up a room or lift the spirits of the many people she serves. Whether it’s Tuesday morning at the JCC where she teaches a weekly Mahjong class, or the four days a week that she serves customers at Shalom Village’s Bubbie Bessie’s café, Pomerantz is a constant presence whose sunny disposition exudes warmth and self-effacing goodness. Below, Pomerantz explains what’s behind her passion for working with seniors and Israel advocacy. You’ve been volunteering at Shalom Village for more than 30 years. What is it about seniors that attracts you? When I was young, my grandmother used to volunteer at Baycrest in Toronto when it was time for her friends to move there. I thought that I would like to do something like that, and that’s one of the reasons I went in to nursing. I like seniors a lot. I get so much out of it. I just love the staff. I love the residents. I love the atmosphere. I’ve been on the board. I help in the café, answer the phone, help out at events, and I’m part of a team that does palliative care for people in the end stages of life. We sit and chat with them, read to them, play music, depending on how the resident is feeling at that particular time. It’s very rewarding. What Israel advocacy activities are you involved with? I edit my husband’s letters to The Hamilton Spectator. We’re also involved in the Never Again Group, which is a group that believes in countering propaganda from ‘the other side’ through Israel advocacy. We get together to discuss things and bring in speakers, particularly at McMaster. It’s quite rewarding to feel that we have a voice. What’s behind your wanting to be such a strong advocate for Israel? I was raised in Niagara Falls and St. Catharines in the ’50s and I had a lot of difficulty being the only Jewish child in the class. When I was in Grade 8, my dad used to have to meet my brother and me at school and walk us home for lunch because we got chased. We lived on a street with two Jewish families and every 24th of May when everyone got together to light fireworks, our families were excluded. I’ve always felt that I had to stand up for myself and for all of us. Although things have changed, I believe that anti-Semitism is coming back in a different form and that it’s important to counter the propaganda in the media. Who were your role models, growing up? My parents and my grandmother. I was extremely close with my maternal grandmother and my father was an advocate and very vocal about anti-Semitism. Have you observed a decline in volunteerism? I’ve noticed students volunteering at Shalom Village, but I don’t see many younger people volunteering there. I’m concerned because there’s not the same sense of community that there used to be. People are working and I can understand that. When I was young we were mostly stay-at-home moms and (volunteering) gave us something constructive to do out of the house. I worry about what’s going to happen when my generation get tired. You have to have that desire, inside, to want to help and to do as much as you can for the community. I don’t know if you can train someone to feel that. Try to enjoy and try to be positive. Be as helpful as you can, because you’ll get more out of it than you give.